No question: I am a dinosaur in the investment business. Not because I'm old, but because it is still my habit to visit companies and talk face-to-face with CEOs and CFOs — even if that means flying across the Atlantic and Pacific oceans several times a year. The result is that I fly a lot. Too much, in fact. One of the undeniable realities of flying these days is that airplanes are almost always packed to the rafters. If you've flown recently, you know exactly what I mean. The International Air Transport Association (IATA) reported that global passenger traffic rose at a 6.4% year-over-year rate in August, the most recent period. That's the fastest monthly increase since 1990! That's a double-whammy of bad news for passengers. Packed flights mean higher fares as well as sardine-like conditions. Plus, airlines are constantly hitting you with fees for checked bags, $100-plus ticket change fees, and overpriced airline meals that taste like what my army friends refer to as S.O.S. But for the airlines, those extra fees generated an extra $4.6 billion of revenue last year. Yup, $4.6 billion! Those jam-packed airplanes and extra fees also mean sky-high profits for airlines. 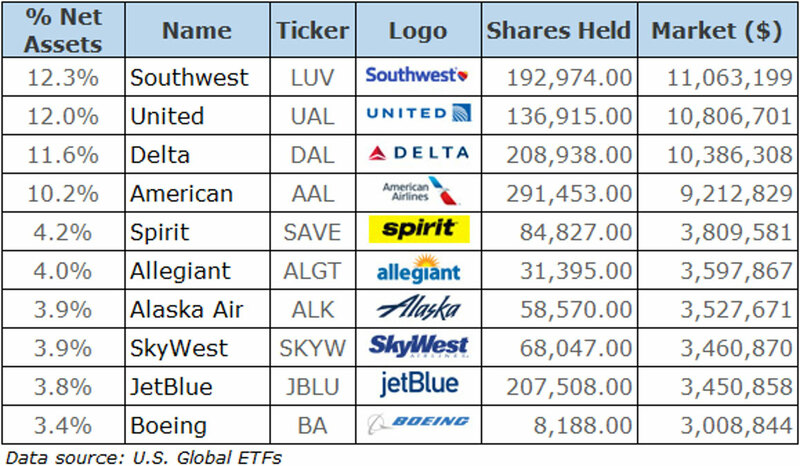 It's why Warren Buffett's Berkshire Hathaway owns between 6% and 10% of each of the four largest airlines — Delta, Southwest, United and American — in the U.S.
"I must admit I have developed some tolerance, bordering on enthusiasm, for that practice now that Berkshire has made large investments in America's four major carriers," said Buffett. And if you're more of an ETF investor, take a look at the U.S. 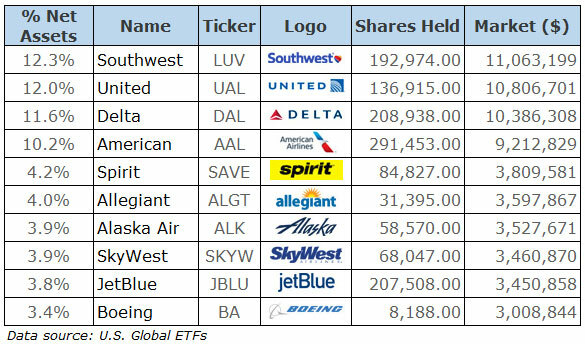 Global Jets ETF (JETS), whose portfolio stocks carry an average price-to-earnings ratio of just 10.8. That's well below the S&P 500's P/E ratio, which is currently at 22.6. There's just one caveat. Jet fuel accounts for about 20% of an airline's cost structure, according to the IATA. 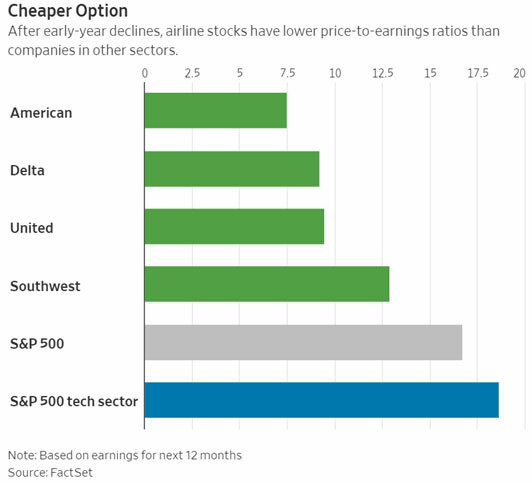 So, if oil prices move much higher, airline profits could take a hit. Bottom line: You don't need to rush out and buy a fistful of airline stocks Monday morning. 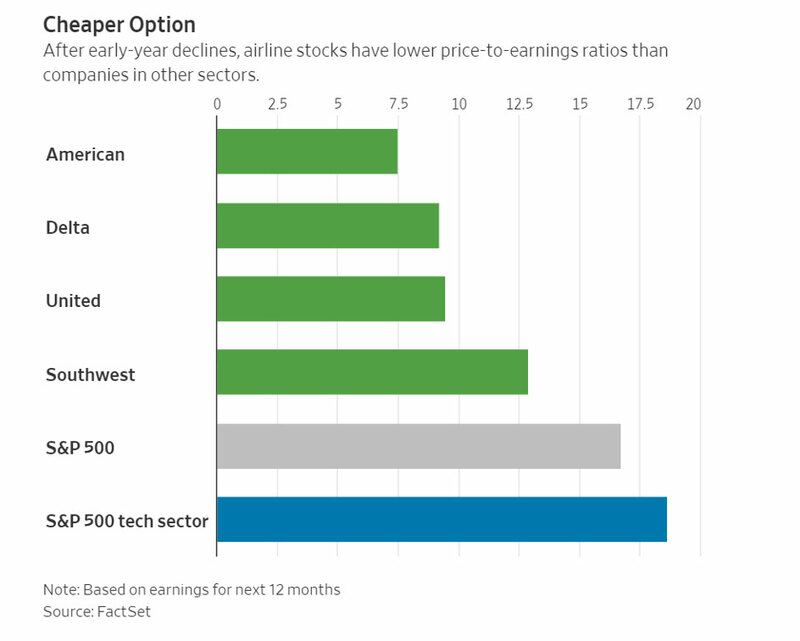 But Warren Buffett is no dummy, and there are good reasons to expect airline stocks to soar over time.